Envelope addressing is the best way to bring the utmost style and sophistication to your invitation suite. 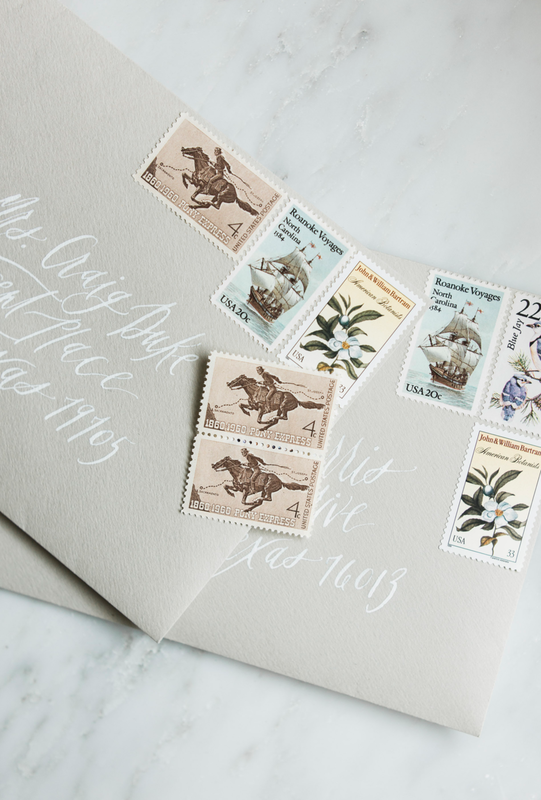 A time honored tradition, calligraphy has been used for years to bring an elegant experience to guests from the moment they open the mailbox. A selection of lettering and layout styles can be found in our envelope style guide below. If we are designing a custom suite, I can help you choose which style best compliments your design.
. L E T T E R I N G S T Y L E S .
Though you will find consistency in my letterforms distinctive of my hand, I offer a variety of styles to choose from. Any of these styles can be applied to your project. You are free to choose which you would like, or we can work together to decide which is best for you.